The Grenada 1974 Constitution asserts its authority as the Supreme Law of the Land; this is generally the essence of the role of the constitutions for all countries and even for their civil organisations (business, social and otherwise). Emanating from section 106 of the Constitution, this declaration gives at least four significant inferences. Firstly, the provisions of the Constitution must be accepted and upheld as being entrenched and sacrosanct. Secondly, all other national laws and all governance actions must be consistent with the Constitution or else they would be void. Thirdly, the interpretation and application of the Constitution must be consistent with the ‘intent and spirit’ by which it was produced. Fourthly, a final judgement on the Constitution would lie in the jurisdiction of a Supreme Court. The Final Appellate Court or the Supreme Court for Grenada, like most of the English-Speaking Caribbean Commonwealth countries, is the London-based Judicial Committee of the Privy Council (JCPC); this should be obvious since the Constitution originates from the Colonial Empire of Great Britain and that it is established on the English Law System. Constitutional Reform is about making changes or alterations to the Constitution. The extent of the Reform can be simple or substantial, but a large variety of ‘demanding issues’ to be addressed may have the Reform occurring ‘in phases’. Section 39 of the Grenada Constitution defines what constitute an alteration to the Constitution and it gives the conditions for making the alteration valid. 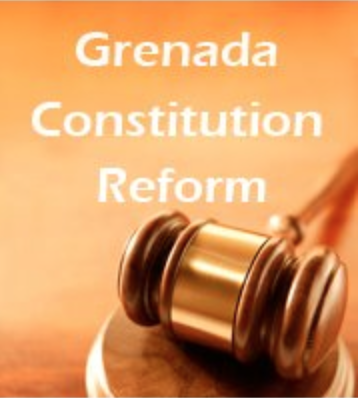 This Section also makes references to the Courts Order, Legislations and Jurisdictions which form part of the laws of Grenada and are related to the Constitution; these are subject to the requirements for the Reform too. Thus, for example; the abolishment of appeals to the Privy Council (JCPC), the incorporation of any new governance philosophy in the Constitution, the rewriting of the Constitution and even the suspension of the Constitution are areas of possible alteration, but only upon the adherence to the constitutional procedures. The critical matter for the Reform is the requirement of a two-thirds majority vote both in Parliament and in a Public Referendum on the Bill to alter any of, or to add to, the particular constitutional provisions, and that at least three months must be used for ventilating the Bill. Any call or argument for Constitutional Reform must be based on an imperative and deserving need, and this need should aim primarily to enhance the citizen’s ‘rights and justice’ and the nation’s ‘governance and sovereignty’. A reasonably ‘functional and stable’ Democracy will not require ‘extensive and radical’ changes to its Constitution, except that there may be ‘outside pressures’ from international institutions for special expressions of Good Governance which would include issues such as on the decriminalisation of certain deeds traditionally regarded as crimes. The parameters and conditions for the Reform must be appreciated and accepted as a means to safeguard the Constitution, the nation and the citizens from unfounded motives, political expediency and unnecessary disruptions; vigilance and protest on the part of the masses are also necessary against any ‘technical manoeuvrings’ of the Process by those in authority. The common sentiment and support for Constitutional Reform in Grenada are to remodel the Constitution so that it has an Indigenous flavour. This means a rebranding of the nation’s political and governance philosophy and practices, which should also meet the outstanding need for the emergence of a new breed of Political Leadership to effect an improved ‘ABC standing’ (Attitude, Behaviour and Conscience) in Government. The rebranding would involve much institutional, opportunity and financial cost, and will have tremendous implications for the wide Caribbean Region. Particularly, with respect to the countries of the Organisation of Eastern Caribbean States (OECS), new emblems on the currency denominations will have to be inscribed, as well as pertinent modifications and adaptations of the existing laws and regulations for its conformity with the New Constitution will have to be done. Any proposal for Reform must, therefore, be well-developed and well-envisioned, and all the various peoples and institutions have to be well-engaged, before venturing the Reform. A Public Referendum is essentially a General Election and as such all of the rules and regulations pertinent to an election would be observed. The Referendum required to effect Constitutional Reform in Grenada shall be under the general supervision of the Supervisor of Elections and conducted in accordance with such procedures as may be prescribed by Parliament for that purpose; it will also be governed by the Representation of the People Act since this is the main legislation for electoral processes. The Referendum is different from the Election in the sense that the electorate will be voting generally on a ‘single policy direction’ of the Government, responding with either a Yes or a No; the result will be measured on popular votes and not on parliamentary constituencies, with the win coming from two-thirds of all of the valid votes cast. Any campaigning for a Referendum should be characterised by the absence of the rhetoric and revelries which form the ritual of politics and elections. The presentation and promotion of the Issues can be lively and strong but must be of good-will and in good-faith. A ‘conducive forum’ is equally important to provide critiques on the proposed package for Constitutional Reform; the aim of the debate should be to broaden the discussions so that all dimensions on the Policy Direction will be surfaced and reflected in such a manner to enlighten and enthuse the people. The Reform process which includes the Referendum should be void of political interferences and with this in mind, it is anticipated that the Office of the Attorney-General will spearhead the process; however there is the great need for an ‘Independent All-inclusive Body’ from Civil Society to speak on the pertinent issues, as well as to monitor and to challenge the Government for any constitutional breaches in the process. A Public Referendum can be considered to be the most excellent opportunity in the exercise of Participatory Democracy and People’s Power. It gives the people the ‘direct choice to decide’ on a very significant and far-reaching national issue, which is outside of the mandate given to their elected Parliamentary Representatives. If nothing else, the manner by which such opportunity was provided and entrenched in Grenada’s Constitution must be applauded and cherished. Constitutional Reform is intrinsically linked to Public Referendum on the basis that the Reform fundamentally relates to the fabric and mode of the political governance and the socio-economic development of the people, and thus soliciting and respecting the determination and wishes of the people is paramount. A Referendum on the Constitution is the ‘noblest referendum’ that a country can hold, but the glory only comes when the Referendum is viewed and handled by the politicians and the people correctly. Since gaining Political Independence in 1974 Grenada never had a Referendum, although up to this point in time there has been the rhetoric of putting some controversial national issues to the ‘open vote’ of the people, such as on the introduction of Casino Gambling. The substance and scope of a Referendum must be understood clearly by the masses, as an avenue for directly and emphatically rejecting unfavoured policies and actions of the Government; they can also initiate referendums on issues of legislation and governance in the public interest. Grenada is once again positioned to be historic. Grenada could be the first of the English-speaking Caribbean Commonwealth countries to have a successful referendum on the reforming of its Independence Constitution. At least, it would be the first of the Organisation of Eastern Caribbean States to replace the Privy Council with the Caribbean Court of Justice, since this is the declared focus of the Government for Constitutional Reform. However, the backdrop of a success of the soon-to-be Public Referendum would have to be analysed in terms of the absence of No Official Opposition in the Parliament and the general disenchantment of the people with Patriotism and with Elections. The quality of the outcome of the Referendum will depend on the percentage of the eligible electorate who have been motivated to vote and whether or not the votes were based on intelligence, morality, consciousness, non-partisan, or even about Regionalism. Passion for the Reform must be modulated with the realities and sound judgements surrounding the Reform and including the Referendum! J. K. Roberts is a ‘premature retiree’ of the Public Service of Grenada, an author of two books (“Into The 21st Century”, 1995 and “Management Practices in The Public Service of Grenada”, 2011) and the founder of a civil society organisation called National Initiative for Prolific Policies (NIPP, Grenada. Inc) well over a decade now.